I’m pleased to announce that due to our expansion we will be taking on two apprentices in September. One will be onsite carrying out sash window repair, whilst the other learning quality joining techniques in our workshop. You’ll get an opportunity to learn amongst the very best in the sash window repair business, as well as understand what it takes to work as part of a team and adapt quickly to our on site training. Our sash window repair apprenticeship will ready you for a future in carpentry, and an understanding of working in peoples homes, with integrity and the upmost respect. You’ll learn about London Sash Window Repairs Ltd, our methods, our honesty policy with our clients, which has seen us involved with sash windows successfully for fifteen years. Sash window repair is an important part of maintain and developing London period property. You have an important job ensuring sash windows are draught proof and double glazed, which helps London continue to reduce it’s energy demands. To understand more about our core business you may like to take a look at our sash window repair page, and our double glazing original sash window page. These resources will help you in understanding our objectives for clients and what we expect of you. Our standards are exacting, this shouldn’t put you off, if you are the right apprentice for us you’ll be glad of the high quality finish we strive toward for our clients. We have clients going back ten years as a result of our willingness to go the extra mile. so, a sash window repair apprenticeship is not to be taken lightly, it can lead to serious opportunity. Due to the nature of our business a clean driving license and your own hand tools are important. You’ll need to meet us on site or be ready for pick up early at our workshop. We work hard, but it’s enjoyable and you will meet many long serving staff who have stuck with us for many years. 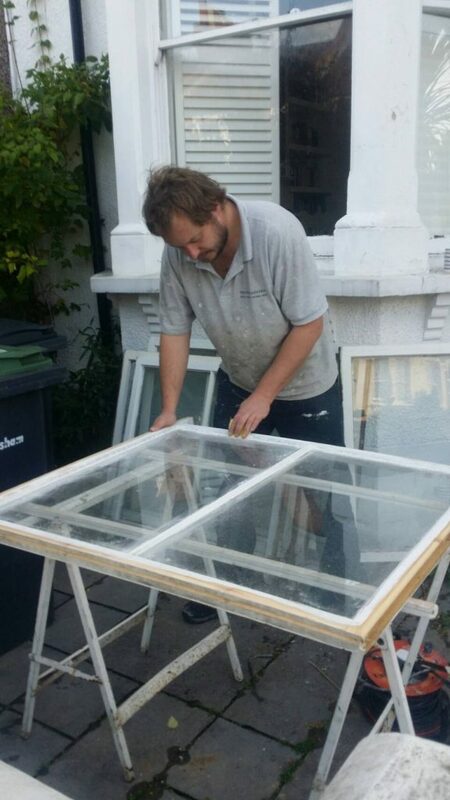 If your young, energetic, and you feel that no challenge is insurmountable, London Sash Window Repairs Ltd will help you make a brighter future, for yourself, and your family. We are a family orientated company, days off for special occasions, and important personal events are encouraged, work hard, be honest, and look after your family.